An overdenture is a complete denture that has a number of implants usually 2, 4, or 6 that are used to stabilized and hold a denture in place. 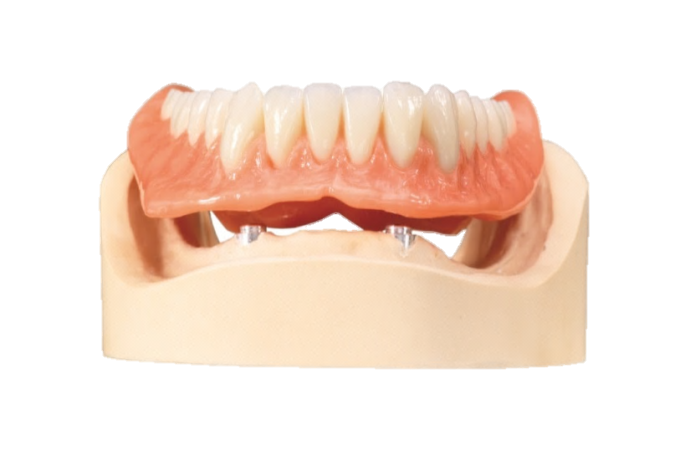 The denture has a snapping mechanism that allows the denture to be removed, but gives the patient confidence that the denture will stay in place, help with chewing and feel more like natural teeth. This dental treatment is the next step up from traditional complete dentures to feel closer to your natural teeth. To get overdenture implant, walk in to our clinic in Overland Park, Kansas City today.